You must be a member of the Rome Singles Group to attend this activity. Would you like to join this group? This is a really fun adult party that's popular in Great Britain. 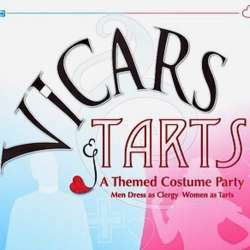 All the girls come as, well, "tarts" and the guys come as priests. Definitely a fun excuse to dress up! Come on Ladies pull out your mini skirts, shiny tops and stilettos and Gentlemen COVER UP!!! A glass of bubbly will be won by the most unperturbed Vicar and the most sensual Tart... come and dare yourselves! We have got the back room to ourselves to mingle, eat delicious food and drink! It will be an experience to see everyone dance away to the sounds of our popular LONDON DJ SET WITH EUGENE! !